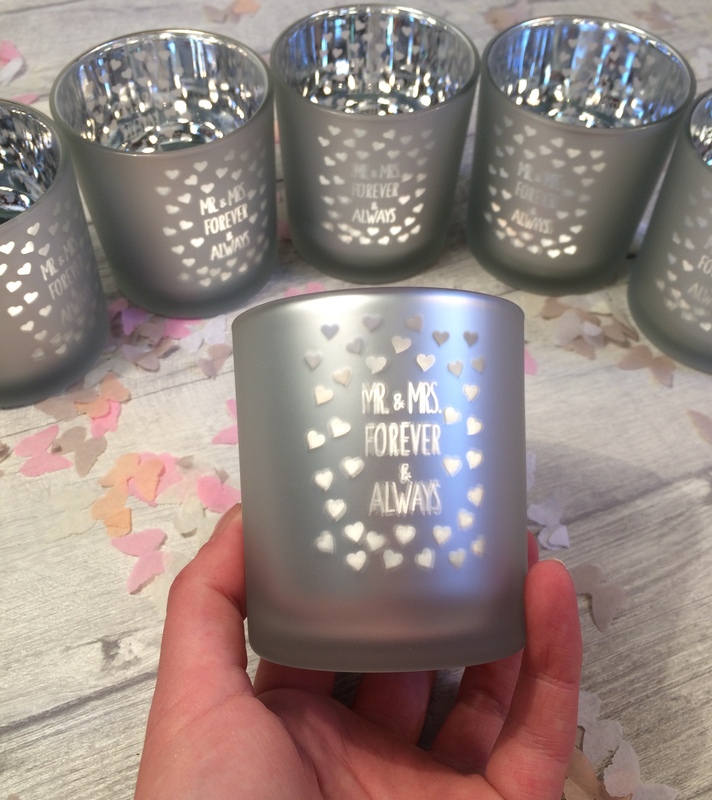 One Mr & Mrs silver tea light holder. Place these around your venue to create a romantic atmosphere, and use them at home afterwards! We just love how the light shines through. Discounts available for bulk orders - please contact us.